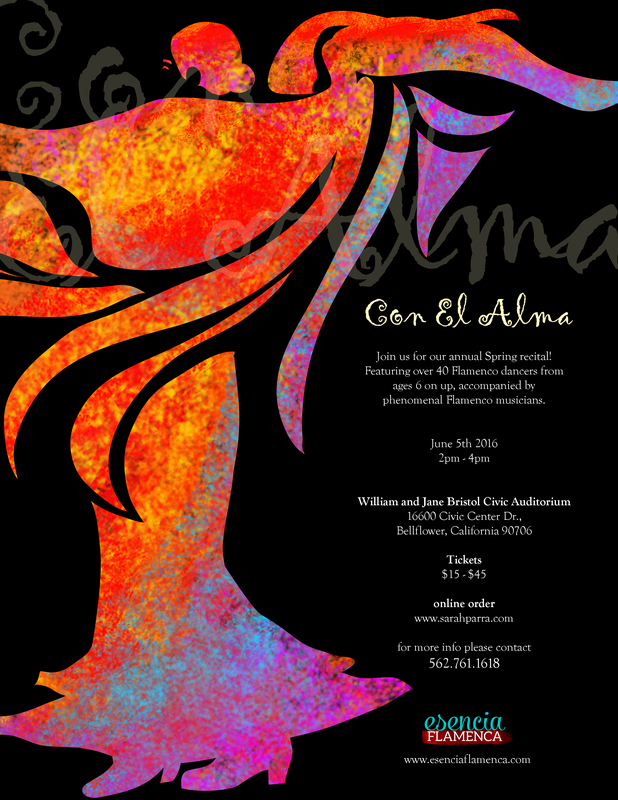 Join us for our annual Spring Flamenco recital ! We will feature over 40 Flamenco dancers. Dancers are accompanied by phenomenal Flamenco musicians. This year our concert will be held at the William and Jane Bristol Civic Auditorium in Bellflower.